I'm back this week with a review on a cleanser from a popular US brand, that I happen to like quite a lot. And chances are, one of their products are on one of your Pinterest boards. This cleanser from Glossier is $18/£15. You get 177ml, but only need 1 or 2 pumps to cleanse your entire face. To me, this is perfectly acceptable, as I am someone that might have around 7 cleansers in my stash at any one time. This is a very gentle choice, making it great for dry or "sensitive" skin. It doesn't foam and it doesn't strip or dry out the skin... but it just feels very basic. And that's not a bad thing, of course not. 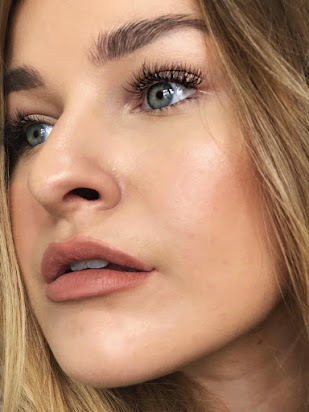 I'm just not sure that everyone would appreciate spending $18/£15 on a very basic and one-purpose cleanser that doesn't remove mascara or difficult, thick foundations with as much as ease as the brand claim it can. But that doesn't mean it's a bad product.. because it's actually pretty damn good. But to find fair and accurate reviews for Glossier is difficult. I personally love this product, but I wouldn't use this as a double cleanse, it's pretty much just a morning, "I already have a bare face and nothing to really remove from it" type of cleanser. If you wear Estee Lauder Double Wear every day, this won't be for you. It just won't cleanse your skin well enough to remove the foundation and other makeup residues. However, that is also dependant on how much make-up you wear, and what cleansers you use before this. It's pretty much perfect for those of us with dry skin, that still want to wash our face in the AM, but don't want to feel like we're a piece of tight and dry plastic after doing so! I do really enjoy this product, and the bottle has lasted me a long time. It spreads evenly for a product that doesn't foam up, which is refreshing - you don't feel like you need a bucketload of it. Usually, I feel like I have to use a lot of product if something doesn't foam or feel oily. So would I recommend this? Yes. I really like it, but it is entirely dependant on your budget. I would re-purchase this, as it's only £15 and lasts a long time, which is a fair price for a mid-range brand. 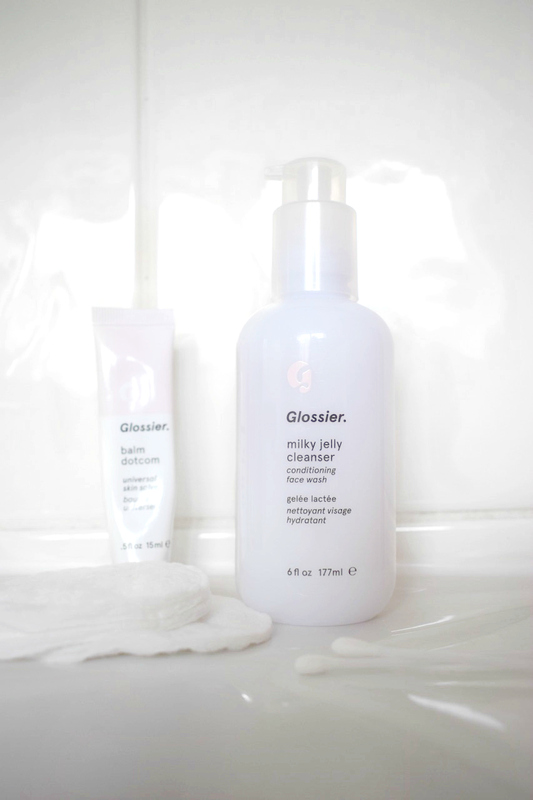 Glossier products are basic but they do have some gems - the Milky Jelly Cleanser is one of them. I just picked up my first two products from Glossier. I always see people raving about the brand, so when they started shipping to Canada, I jumped on it! Anyways, thanks for sharing your honest review! On the website, they make it seem like it's a cleanser that takes off everything (without having to use any other cleansers) so I was really surprised to hear it didn't take everything off for you. 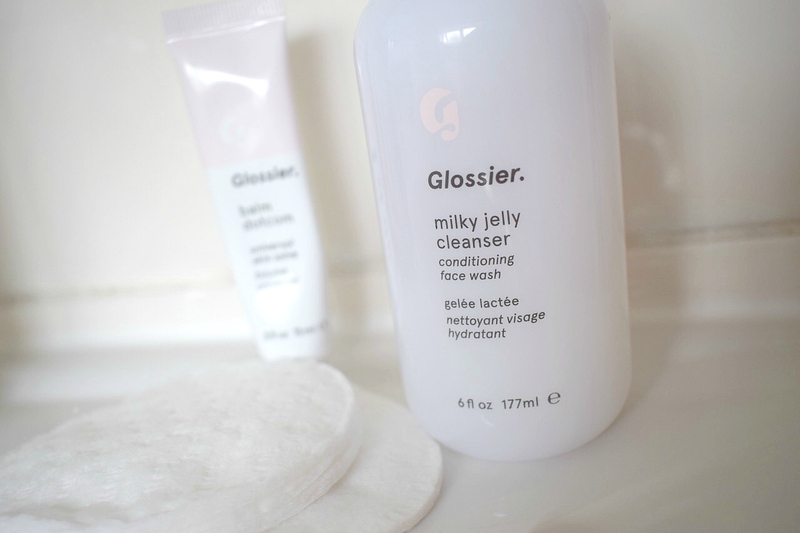 I've heard SO many good things about this cleanser - I really need to get my hands on some! I don't wear much makeup so this would probably do me as a general cleanser, i like the simple ones.